Washington, DC (dpo) - 17 people died in America’s most recent school shooting, which took place at a high school in Florida. Naturally, this has once more turned public attention to what politicians can do to prevent such disasters in future. 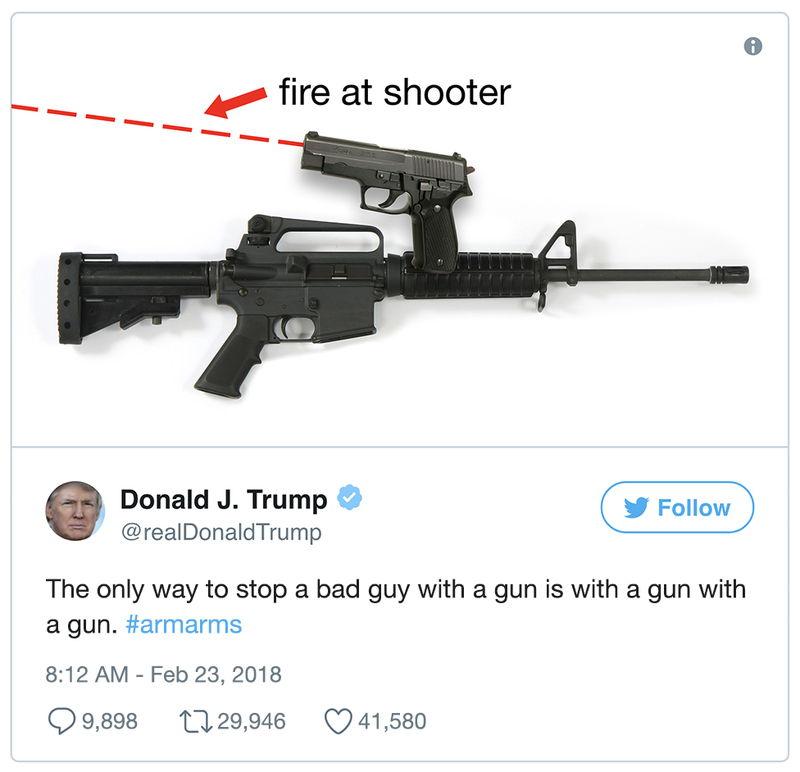 Today, it was Donald Trump’s turn to present his solution: the President proposes arming all guns so they are able to defend themselves from being used by mentally ill school shooters. Shares in several arms manufacturers skyrocketed in the hours following the President’s speech. No wonder – requiring every gun to be armed with a further gun could double sales. Then, there is the software which the arms manufacturers are currently developing. 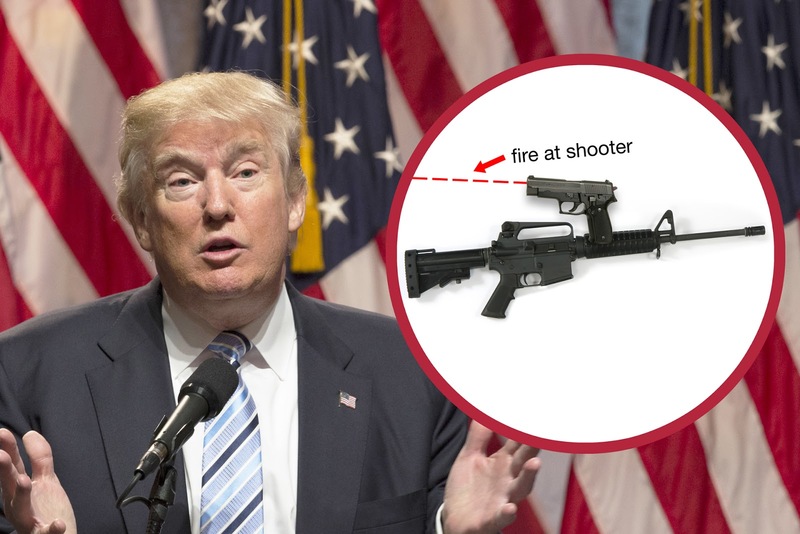 This would allow a gun to recognise when it is being used in a school shooting and to know when to fire upon its owner.